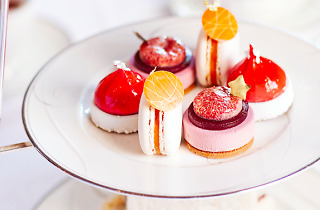 The Hotel Windsor is putting a little festive flair into its dainty afternoon tea service this Christmas. From Saturday, December 1 to Monday, December 31, the 130-year-old hotel is spicing up their regular afternoon tea (one of our favourites in Melbourne) with a little merry magic. 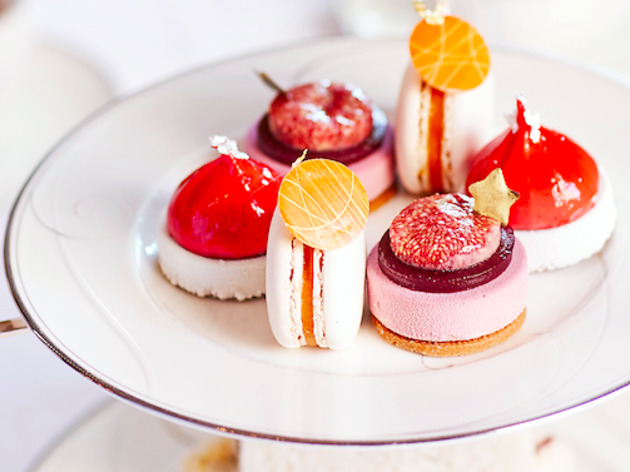 The hotel’s new Christmas afternoon tea for 2018 features a selection of seasonal treats created by the Windsor’s head pastry chef, Jérémie Parmentier. The menu focuses on traditional Christmas flavours: savour wild mushroom vol au vents, parmesan sablé with Huon Valley salmon roe, fig and walnut tarts, apricot marmalade and rosemary macarons and ‘Christmas hats’ – adorable pastries made from blackberry confit, guanaja chocolate, vanilla ganache and almond crumble. No afternoon tea is complete without finger sandwiches – Hotel Windsor’s will feature fillings like turkey with cranberry jam and Swiss cheese; Tasmanian salmon; egg with mayonnaise, Dijon mustard and horseradish; and cucumber with ricotta and herbs. Naturally, there will also be fluffy scones with jam and cream – in the spirit of Christmas, there will even be a mixed peel variant. Like all afternoon teas at the hotel, the menu includes a pot of coffee or tea plus a glass of sparkling. To make a booking visit the Hotel Windsor website.